TLDR; I wanted a new compooder, I built a new compooder. This build has been about a year in the making. I started out with a old Dell XPS 8500 I had bought around 6 years ago. Not knowing what I know now about computers and financial responsibility I decided going with Dells payment plan to get this pre-built was a good idea. SPOILER ALERT… I grossly overpaid for this computer over the course of 2 years. In the end though I did end up with a machine that decently lasted the test of time and powered through what I threw at it. Towards the end of last year though I noticed my i7 3770 and GT640 was starting to show their age. I wanted something new, but I wanted to be smart about it. Thus began my journey, which I’m sure a lot of you had taken, into youtube videos and different forums. I suppose I should start with what my end goal is with this computer. I love computer gaming, as a dad and also an adult I don’t exactly have too much time for it. When I do however I wanted a computer that wouldn’t really hold me back too much. I was on a budget and I already had a 1080p led screen so I wasn’t looking for something over the top but I did want room to upgrade. I also wanted something that could handle photoshop and video editing. I’m not going to be rendering 4k videos anytime soon but I am trying to document some things and wanted a computer that could handle 1080p rendering without crashing or taking forever and a day. My budget for this computer was under $700 including taxes. This money was pulled together partly through side hustle eBay resale money and partly through help from the wifey who did not completely understand my enthusiasm for computers but wanted to see me happy. LOVE YOU BABY!!! Now I am going to leave my reviews in the review section, so this next part will be how I found certain deals and why I chose these components. 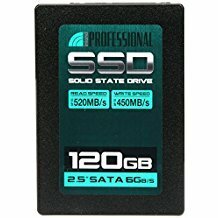 All the forums I read said a SSD would be the best and most affordable upgrade to a computer. So, it was the first thing I bought. A 120 gb Inland SSD directly from Microcenter which at the time they had on sale for $29.99. This SSD has already been used a lot. It initially started out as a boot drive for my XPS 8500. I then found a Dell XPS m1530 laptop at savers for $25 so I threw it in there as the main drive till I re-sold the laptop on ebay for a profit of $100 (old hard with the laptop of course, I kept the SSD). It is now being used for my steam library. 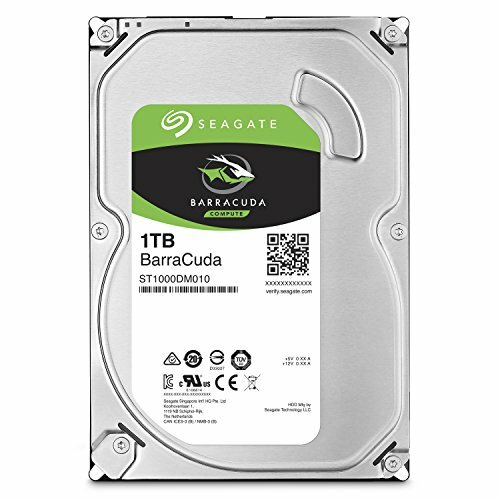 The 120gb doesn’t go too far though so I am currently debating on getting a second one and putting them both in raid 0 since if anything was to happen I’d just be losing my steam library and I want it more so for the speed aspect. This was bought around November 2017. GPU prices were as most of you know, not ideal. I had PCPP daily email alert on for GPU’s and even though this price wasn’t MSRP it was the lowest I could find on any platform, even used ones on ebay at the time. This was going to be the next upgrade for my XPS 8500 to hold me over till I had the money to get all my other components. So I jumped on the deal and I don’t regret it at all. Userbenchmark might rate it a speed boat but it was a major upgrade from my barely surfboard GT640. My end goal is either a 1070 or Vega 56, but for now this is definitely getting the job done. AMD just seemed right for me. I could go into detail as to why but this would be a lot longer than it already is if I did. Nothing against Intel, if money wasn’t an issue I would’ve gone with an 8700k, but I was sticking to a budget. The reason I chose 1600 vs a 1600x or 1500x or 2600 or 2600x was for multiple reasons. -1. 6 cores. I know some games don’t necessarily take advantage of this and even some workstation applications can be more single core focused then multi core. 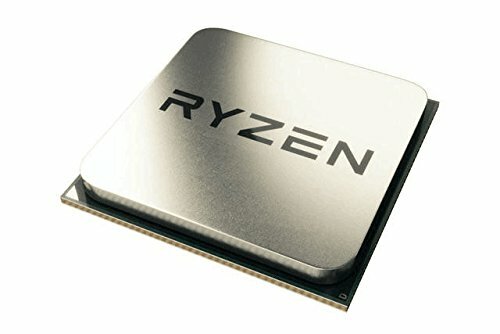 4 cores seemed to becoming the expected for a desktop computer with also more applications and games seeming to push updates as well to take advantage of these multi core processors. I figured one way to future proof since I won’t probably upgrade my CPU till Zen+ comes out would be to get a 6 core processor. 3.2ghz base clock was good enough for what I need and I may play around get a AIO so I can OC in the future. -2. Price. This wasn’t voted one of the best bang for your buck CPU for no reason, and with 2600 just coming out, it was tempting but didn’t fit my budget like this CPU did. Not to mention with the motherboard I was choosing I didn’t really want to go through trying to find a way to update my bios. It was Hassle free and got the job done. Stock cooler also runs in with this one. The stock coolers are attractive and actually work good so less money I gotta spend. The reason I chose this motherboard is because of 4 reasons. Integrated WiFi, I will be living on an RV so being plugged in won’t be an option most of the time. USB type C, I can see this being useful with a lot tech moving to type c connectors. Form factor, I was originally considering building a much smaller ITX case and wanted to stay small. And the biggest one PRICE!!! This was an open box from Microcenter. Add in the fact Microcenter had a cpu mobo combo deal going on I was able to get an additional discount on top of it. I was eyeing this mobo before this open box showed up in my local store but this just made the deal even sweeter. It was between this and the Cooler Master Elite 110. I wanted small and portable but this new case caught my attention. I have plans to build this case into my RV which when finished I will re-upload here with new photos! The mini ITX mobo doesn’t look too small in this case, I love the tinted side panel acrylic window and it looks stylish to me. Got this on an Amazon sale for $33.00 since Amazon warehouse is in our state so I was charged tax. This was not my first choice. 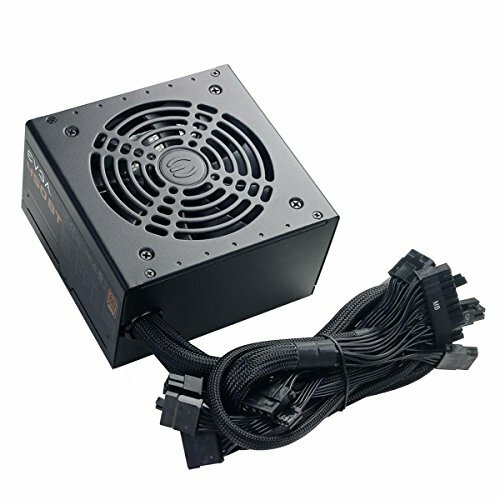 I had my eyes on a 500w 80+ Bronze that was semi modular for $40 but I saw this one on sale and it seemed like a steal for me. I don’t think I’d need to upgrade it even if I do get a 1070. Cable management was a little of a pain but I did use most of the plugins so I’m not mad about it. The case only came with 1 fan, I needed more. This were cheap, came with good ratings and work. Not sure if much more needs to be said. Didn't want anything flashy, just plain Jane black. Since my other SSD is being used for my steam library I wanted something as a boot drive. This was cheap and had good reviews. Combined with an Amazon gift card I’ve been saving up from doing passive lock screen ads on my phone I was able to get a pretty damn good deal I believe for a M.2. This one was my second to last purchase, last one being windows. This was a tough one for me for a while because I couldn’t decide between going with a single 8gb stick and upgrading later which in the end would cause me to spend more money then if I had simply bought 2. Or to bite the bullet and get 2 sticks. I scoured the internet looking for the best deals and ran across these on ebay. $135 + $7.49 shipping for this I saw as a good deal. Even better they work too! Buying used can pay off sometimes. I have Black UV LED’s coming in. I plan on taking more photos when they come in. I love it when users are so thorough with their builds. I can tell you love your new compooder! Thank You! I really do, it was a lot of fun. I want to build another, maybe a 2200g for the daughter next. My daughters 3 and that's how she's been calling it so now I can't help but call it that too. I took some product photos of my old rigs parts. My intention is to sell them on eBay though I do want to build a computer with and for my daughter. I may consider using it! Dad club here too. your's is pretty similar to mine. mines built for 4k editing (nothing long) and "light" game playing. 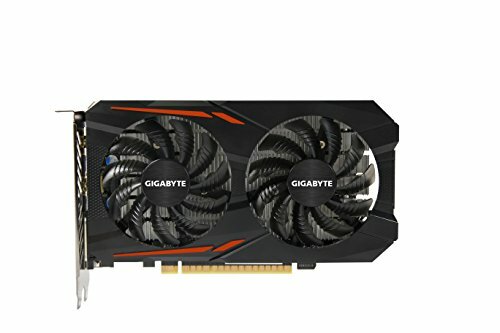 i'm digging the 1600 and 1050ti but i already feel like i need to update the GPU. they are just so expensive. but i'm on the lookout. Great rendering times. That's good to know it can at least render 4k. I eventually want to upgrade to a 1070 or something equal to it. Cheapest I could find as of right now is on eBay. By the way what do you use for video editing? My old rig I used free light works but I'd like to upgrade to something else. I can't decide between final cut or premiere. Premiere. 750MB file rendered in about 5 minuets. CPU is for for rendering. GPU is for games and i'm on the lookout for a 1070ti too. Thank you! When I first started doing research behind this it kinda brought out a passion and desire to learn all about it I didn't know I had. I knew before I liked tech but this kinda became an obsession for me of sorts. I honestly enjoyed and got excited about learning about the different parts and how they worked. I'm hoping to take it further and considering doing some actual courses now because I started this journey. As for the budget, as much as I love to see some of the builds on here and like to dream of building my own. I also know if I was to build one it probably would be way under utilized from its full potential. Not to mention my goal was to use strictly only side hustle / fun money to keep it from dipping into our family budget. BTW my cable management isn't the greatest on the other side lol. But thank you! I got some black UV LEDs coming in as well as sata 3 cables because I just took the sata cables from the other rig and im pretty sure they're older sata 2. Once they're in I plan on redoing behind the back panel a bit. Cable management on the back of most cases is non-existent. People can't judge what they can't see ;) And good luck with your future efforts; PC building can be a fun hobby. Looks Amazing. I am currently looking to build my first pc and I was already looking at that mobo (how I found your build) and I might get a case very similar to your as well. Any recommendations? Thank you! First off, I love this motherboard, I was looking for something that had built in WiFi and Bluetooth, since my intentions for my build was for it to be mobile. It does only have 3 fan plugs, which one is intended for the CPU cooler. 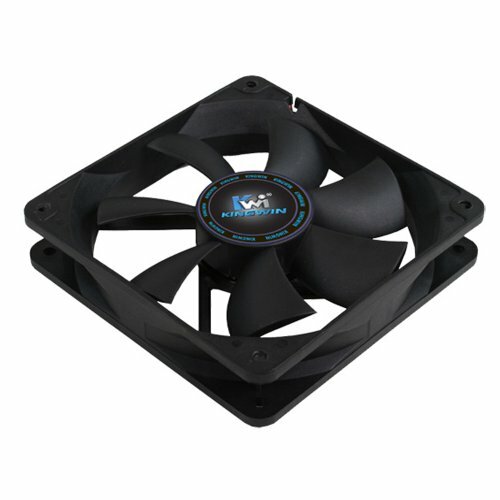 so if you plan on using more than 2 case fans you will need to get fan splitters which are fairly affordable, I got mine for $3.50 usd off of newegg. The case was really easy to build in. I personally chose it because I wanted to show off the interior and I loved how the io was on the side as well because I plan on building into an RV that we will be moving into full time for a while. I would recommend the case, lots of good airflow and lots of spots to slip cables for cable management with easy to remove and clean dust filters. However it also all depends on what aesthetics your going for, I put in black LEDs (which I need to upload photos of) so every time it is on I love looking at it lol. Also just watch a video on Youtube. An unboxing of the Q300P which is the case I am looking at and it comes with an adapter. Saw the build, Graphics cards still marked up that much over there? Hope you can find one for a better price. [STAFF REMOVED] I liked that case too, I want to see if I can at least get the handles off of it since they're both so similar because currently I've been lugging mine around quiet a bit. Really? Damn, ok, I'm sorry. I didn't realize that. Was just trying to say how I got my copy for cheap. Guess I'll just leave that out of the build next post. Ikr. The graphics card prices are still insane. and RAM is still a bit pricey as well. Yea, I had trouble finding good ram pricing as well. I originally wanted to keep my budget under 600 but because of ram I had to bump it up an extra $100. Nice build any reason why you got the front fans flipped? Thank you! And because I was a newb and didn't know which way to face them till after I had it all put together. I reassure you though, they are facing the correct direction now! Yeah I bought the 1050ti from Wish.com and it was a fake! Haha. Buying from cheap china doesn't seem to be a good idea. I'm considering something like this. Custom PC from the city I live in. Thoughts? It is around that $2,200 mark that the poster mentioned. Oh yeah, I've heard and seen most of the graphics cards from wish are not legitimate at all so be very careful where you spend your cash. Graphic card prices in the states are back to a reasonable amount for now. As for the computer that is around $2,200. What all components does it have in it. Does it come with a monitor, keyboard, and mouse for that price? I would see all of what they have and try to recreate it on this site first. You might find it cheaper to just build yourself. Yea, I realized that fairly soon after the photos had already been taken. It has been switched since then. Thanks though!